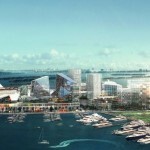 Port Miami is set for a huge development but the question is which one? 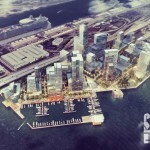 There are two proposals which could both change the look of the port in a big way. 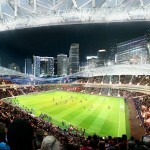 One of the proposals is a huge new development for David Beckham’s new MLS Miami soccer team. The development will include a 25,000 seating stadium along with shops and entertainment venues. 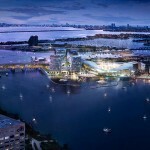 The new stadium will have views of the busy cruise terminals, downtown Miami and across the bay towards south beach. There will also be a pedestrian bridge connecting to the mainland. The project is expected to cost about $200 Million and apparently the financing has already been secured. The problem with David Beckham new Stadium complex is that it’s not being supported by Royal Caribbean. 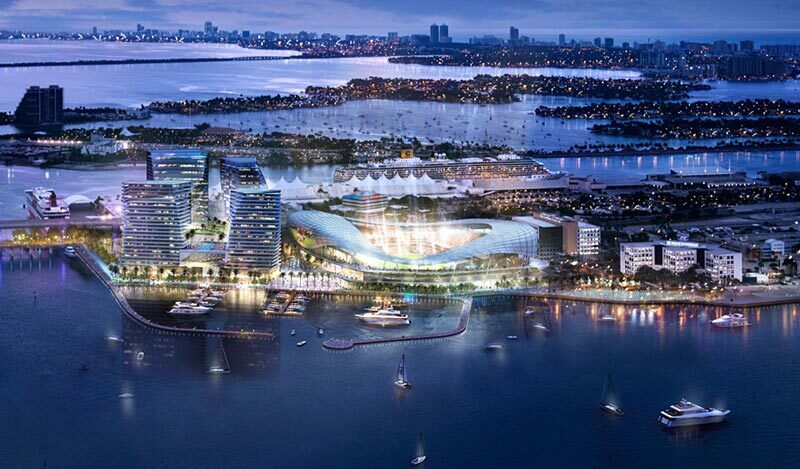 the cruise line company has it;s offices at Port Miami and would be right next to the proposed development. Royal Caribbean has even featured an ad opposing the project in the Miami Herald. The cruise line has also joined the Miami Seaport Alliance which is a collection of companies and people who oppose the project. Carnival Cruise Lines which is one of Port Miamis biggest operators is not part of the new Alliance. 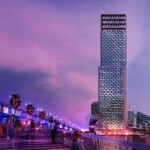 The other proposal is a World Trade Center which has been doing the rounds for a while and with many different designs. This project doesn’t have the celebrity backing like David Beckham’s new soccer stadium but could possibly bring in more money to the port. 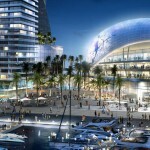 A trade center would hold many international companies and will offer hotels, offices, shops and entertainment venues. Both proposals could be on a collision course and thankfully neither of them will change the busy cruise operations with several cruise terminals dealing with some of the worlds largest cruise ships. The developments do question if Miami can handle the increased traffic and parking especially with the Miami Heat Arena just a few minutes away. Have you ever cruised out of Port Miami? Also what do you think of the proposed developments? let us know in the comments below.